This exhibition was curated by Jessica Bugg and Anna-Nicole Ziesche at the Design Hub Galleries Melbourne, Australia. It was selected for the Cultural program as part of Virgin Australia Melbourne Fashion Festival, supported by the City of Melbourne. 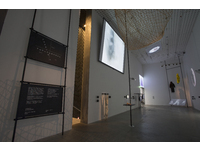 The exhibition included film, material artefacts, garments and live performance. 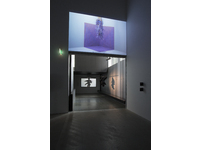 It explored and developed performative curation modes, seeking to re-animate meaning from the original interaction between the performer and the garments and to engage audiences in a performative and potentially immersive reading of mediated communication. 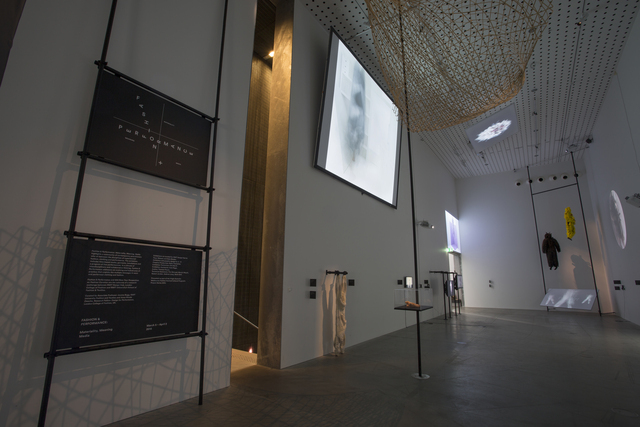 Employing performative modes of production the exhibition was curated to engage audiences on an experiential level through their own understanding of wearing and performing clothes and through a physical and empathetic relationship to the works in the space. 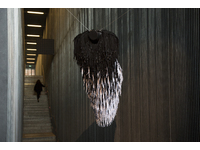 Fashion & Performance: Materiality, Meaning, Media Fashion & Performance - Materiality, Meaning, Media was first seen at the Arnhem Mode Biennale in 2013 and has been specifically redeveloped for RMIT Design Hub. In this iteration it brings together 21 established and emerging practitioners from Europe and the Asia Pacific region. 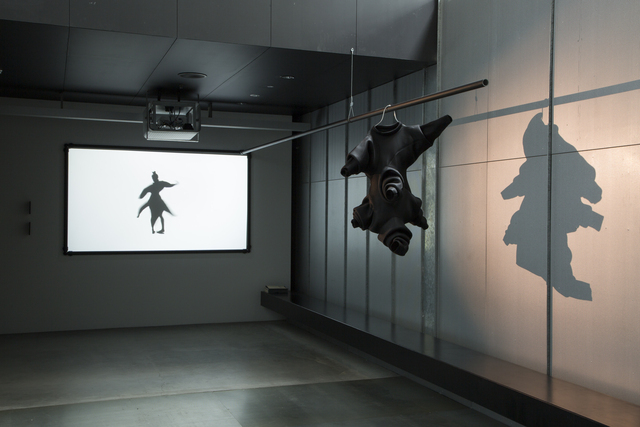 Through contemporary moving image based works, material artefacts, garments and performance, the exhibition highlights a community of contemporary practitioners working between the disciplines of experimental fashion, conceptual clothing and performance. 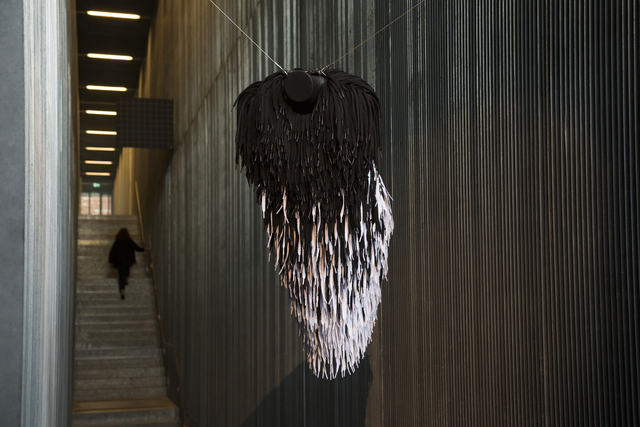 It investigates a compelling and growing area of contemporary creative practice at the intersection of fashion and performance and is driven by an analysis of the potential and tensions afforded in this relationship. Artists and performance artists such as Yoko Ono, Rebecca Horn, Leigh Bowery and Matthew Barney from the late 1960s to the present day have employed the medium of clothing and the performing body to make works. Fashion has embraced the mechanics of the theatrical stage on the catwalk in spectacular shows of designers such as John Galliano and Alexander McQueen. 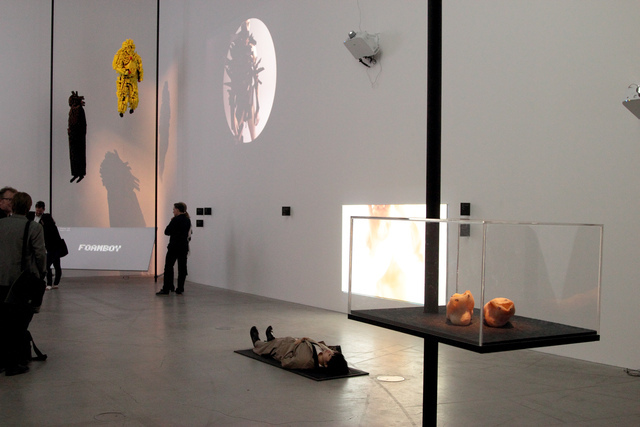 Others such as Hussein Chalayan, Martin Margiela and Viktor + Rolf employ performative strategies as central to the development and communication of their work in both live performance and film. 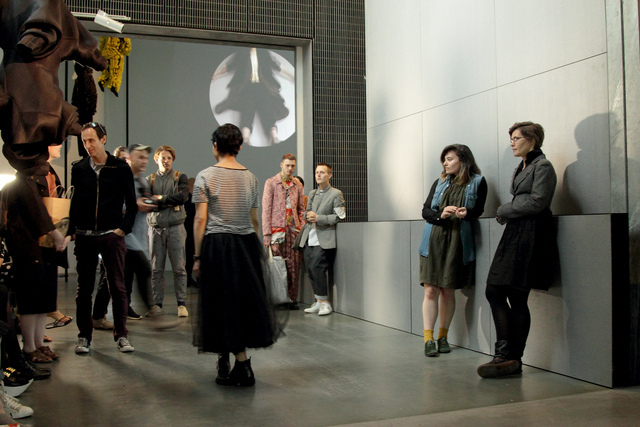 While fashion is moving into the performance space, so performance has begun to move into the fashion space, illustrated through examples such as the immersive performance created by Punch Drunk for Louis Vuitton’s Bond Street, London store opening (2010) and Rick Owens SS 2014 Vicious presentations. Despite these examples the worlds of fashion and performance have tended to be analysed and understood in the context of their own disciplines as separate and distinctly different in terms of their design process and intention. This exhibition challenges this position and illustrates that clothing designed as conceptual fashion and clothing designed as costume for performance now share approaches, which have developed through an increased awareness of the body and the agency of dress in communication. These approaches function in the transdisciplinary place and space of the wearing, viewing and experiencing fashion. Fashion theorists such as Joanne Entwistle have illustrated how ‘the body, and the self are not perceived separately but simultaneously, as a totality … as an embodied practice’ (2009: p10). This thinking provides a shared perspective from which to understand a growing practice in the design and performance of dress produced from a variety of perspectives but all within the site of the body. It is this complex relationship of dress and the body that is uncovered in the work of these extraordinary artists and through the creation of this exhibition. Coming from diverse backgrounds in fashion, textiles, architecture and the visual arts, some of the artists have trained or worked in more than one discipline and all have a preoccupation with clothing and the visual and performing body. The work of these practitioners exposes the potential of embodied narratives informed by design and materiality. Working with approaches that embrace aesthetics and form, spatial concerns, narratives, process as performance or identity and dress, these artists draw upon approaches from both fashion and performance. In all of these instances the performance relies upon the clothing and the wearer’s active engagement as integral to the development of the performance, and all are communicated through time based media. Performance is usually experienced in and through the lived moment and through the relationship of bodies and scenography in a particular place and space. 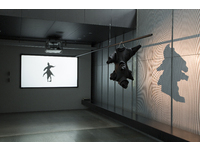 It can be understood as becoming something other than performance through documentation and mediated form. 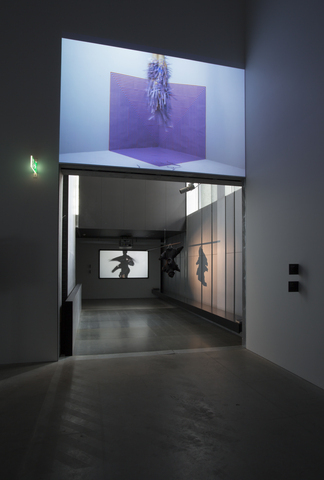 However, all the performance works in this exhibition are developed and designed to be experienced through mediated means and specifically film. Fashion & Performance attempts to re-animate aspects of meaning from the original interaction between the performer and the garment through the relationships of film, the physical materiality of the wearables and the traces of live performance or performer interaction. It seeks to engage audiences on an experiential level through their own understanding of wearing clothes. As Aoife Monks notes ‘Spectators do not simply see costume representing clothes on stage; they also see it being used. Actors visibly wear their costume, and costume is made of the same stuff of the dress worn by the audience’ (2010: p.39). By understanding the body as a creative site, and by placing clothing as central to communication, it is possible to connect designer, wearer and viewer in an experiential exchange. The cross disciplinary artists in this exhibition demonstrate the potential of embodied engagement that draws on an inherent awareness of both fashion and performance within their methodologies and aesthetic. This exhibition is not a full overview of contemporary practice at the intersection of fashion and performance but it does demonstrate the importance and diversity of this area of practice at this point in time. 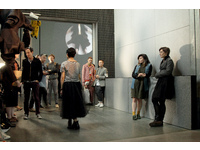 Fashion & Performance; Materiality, Meaning, Media is the outcome of the curators’ individual and collaborative research. The research and resulting exhibition draws from the need to recognise and understand the plurality of messages in worn and performed clothing or fashion within contemporary society and the undeniably tightly interlinked relationship to performance. 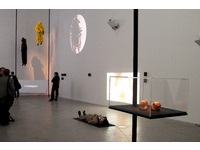 The work of the artists shown here is selected and discussed outside of commercial imperatives usually associated with fashion and demonstrates to us a commitment to investigate and communicate ideas around dress, body, narrative and performance in ways which go beyond the traditional parameters of fashion or performance. References: Aoife Monks, The Actor in Costume, London: Palgrave, 2010. Joanne Entwistle, The Fashioned Body, Cambridge: Polity, 2000. Jessica Bugg and Anna-Nicole Ziesche would like to thank the Design Hub team as co-curators and the School of Fashion and Textiles at RMIT for their generous support in bringing this exhibition to Melbourne.